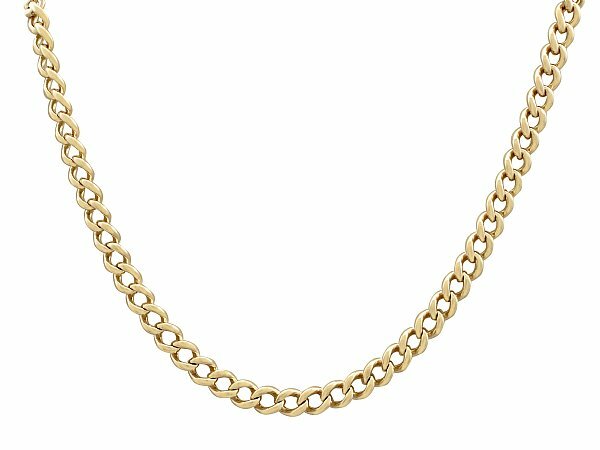 This impressive antique Victorian chain has been crafted in 15ct yellow gold. The rounded curb links that make up this impressive versatile watch chain / necklace are each struck with the marks for 15ct gold ('15' and '.625'). The chain secures with a conventional spring loaded bolt ring fastening and ring loop. This impressive Victorian yellow gold chain is exceptional quality, hallmarked to each link. The chain is an exceptional gauge of gold and is in excellent condition.